Mission Inspired by the Daughters of Charity and De La Salle Christian Brothers, De Marillac Academy provides a life-changing, accessible Catholic educational experience for the underserved children, youth and families of the Tenderloin and surrounding communities. Vision At De Marillac Academy, we believe that neighborhood of residence and socioeconomic status should not determine a child’s access to a quality education or ultimate success in life. De Marillac’s holistic program liberates students and graduates to lead lives of choice, meaning and purpose. Every day, De Marillac Academy unites philanthropists with low-income families to break the cycle of poverty through education. 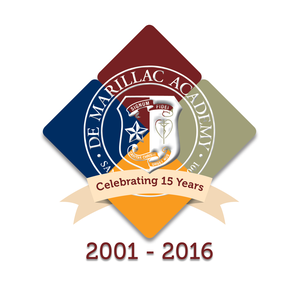 Schoolwide Learning Expectations The De Marillac Academy community practices and teaches six virtues – responsibility, compassion, gratitude, perseverance, leadership,and integrity – in order to model Jesus in our everyday lives. These virtues lay the foundation for our Schoolwide Learning Expectations.